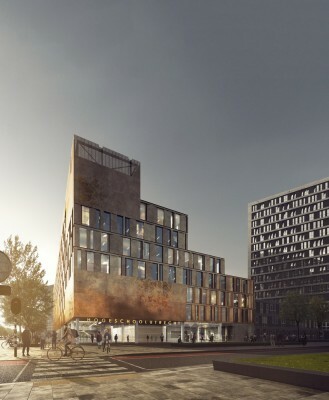 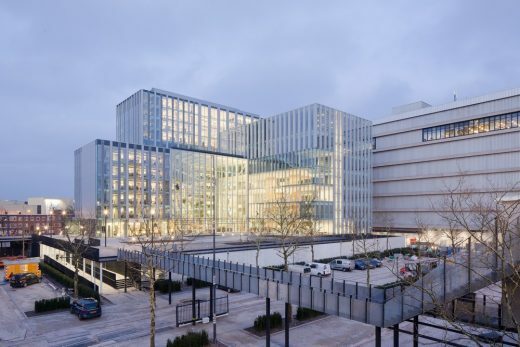 Schmidt Hammer Lassen Architects is part of the winning SPARK consortium to design the new 22,310 sqm educational facility for the University of Applied Sciences Utrecht in the Netherlands. 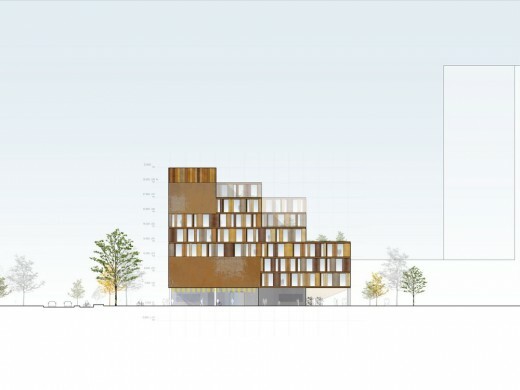 The new building will house seven institutes as well as university facilities. 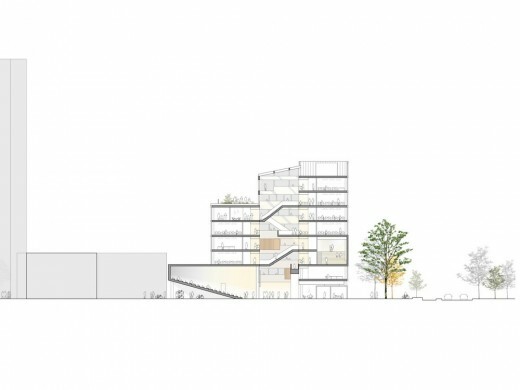 It will be located on the campus amongst world-known architectural building designs by OMA, UN Studio, Wiel Arets and Mecanoo. 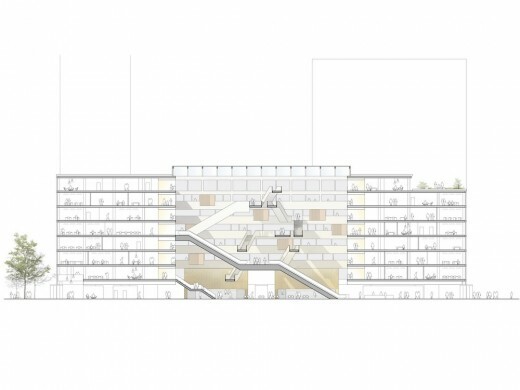 The new educational facility completes the existing ‘Kasbah’ master plan and will provide space for over 6,500 students, staff and visitors. 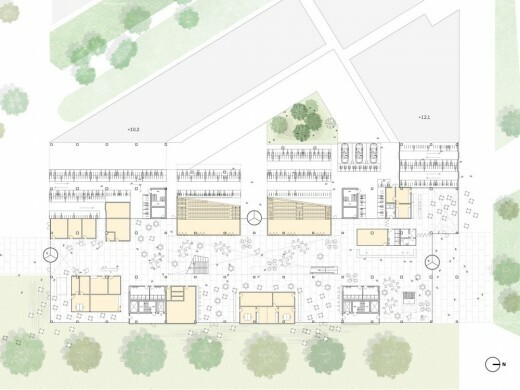 It forms a strong and clear mark on the site, where it will activate and support the dynamic life on the campus. 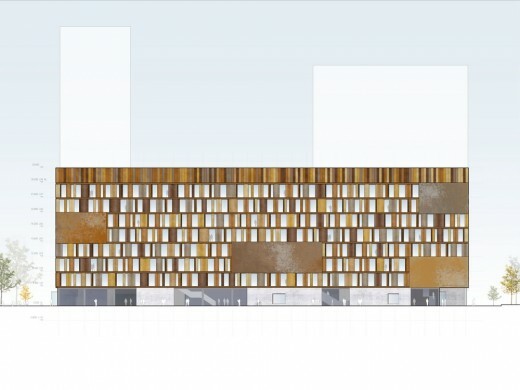 “We have created a strong and clear gable motif that forms the final end of the Kasbah masterplan. 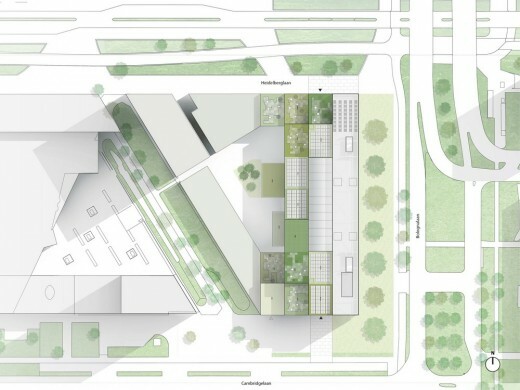 The building yields to the adjacent buildings with a series of green terraces and roof gardens. 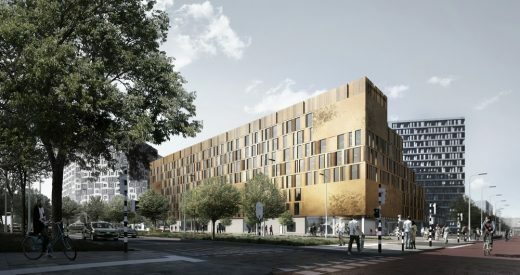 Coherence with the surrounding campus is achieved by the use of a similar floor-tiling outside and inside on the building’s ground floor, which acts as a large open piazza with cafes, conference center, amphitheater and lecture halls,” explains Kristian Ahlmark, Senior Partner at Schmidt Hammer Lassen. 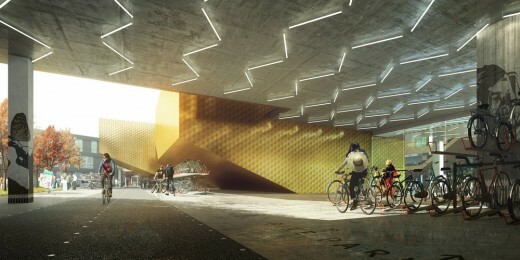 “We’ve tried to create a place that encourages the chance encounter. 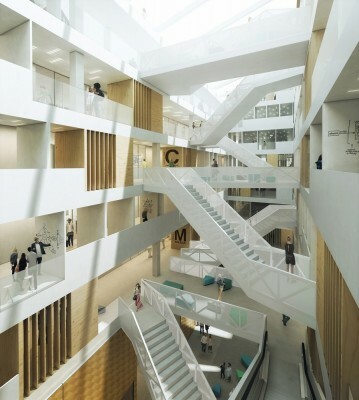 By activating the heart of the building, the atrium becomes the primary function of logistics where the school’s flow distributes via kaleidoscopic stairs, bridges and escalators. 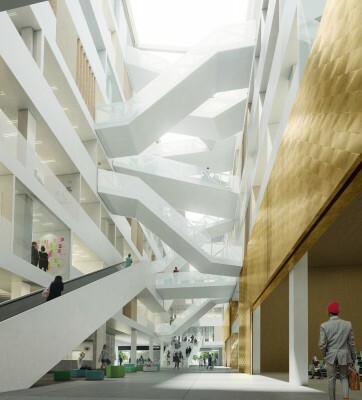 Thus, the atrium becomes the building’s meeting place where paths cross, experiences are shared and insight into other institutes is gained,” concludes Kristian Ahlmark.